Updated August 31st, 2018. Are you a yoga nomad traveling in Asia? 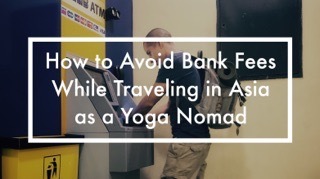 You've probably been wondering how to avoid those annoying bank fees and foreign exchange commissions whenever you withdraw money to pay for your yoga trainings, or perhaps whenever you get paid for hosting your own yoga retreats. I know I do. In all these years traveling around India, and in other countries in Asia, I've spent so much money on bank fees. Every time I withdraw money from an ATM using my credit card I have to a pay 5 EUR commission, regardless of how much money I withdraw. On top of that there is the hidden foreign exchange commission, and on top of that an extra fee charged by the ATM. In India most ATM's charge an extra 300 rupees charge. That's about 4 EUR! Using my bank to make international transfers would be ridiculously expensive and time consuming. Luckily there is another way which is much cheaper and convenient. And there is no need to open a new bank account or getting a new credit card. I've been using TransferWise since mid 2016 when I was getting ready to host my first yoga retreat in India. One of my guests introduced me to this app. He sent me the payment for the yoga retreat from his account in British pounds directly to my account in EUR using TransferWise. It was so easy and reliable. So I asked all the other guests who didn't have an account in EUR to use this service, which they did with no problem at all. So basically TransferWise is an online service that helps move money across borders without hidden fees, using the market exchange commission and at a very low cost. The company was started but two Swedish entrepreneurs and founded by private individuals, such as Richard Branson. TransferWise first product was easy, cheap and reliable online bank transfers, but in May 2018 they launched their new TransferWise Mastercard. This is a debit card you can use to withdraw money all around the world without paying ridiculous bank fees. This has been super awesome news for me. I ordered my TransferWise Mastercard right away and I've been using it ever since without any inconvenience at all. I love how it works. As soon as I withdraw money from any ATM I get a notification on my smartphone indicating how much money I withdraw, what was the exchange rate, what was the conversion rate, and how much is my new balance. That is so awesome. That's why I no longer use my credit card to withdraw money from any ATMs. But before using the debit card you need to activate your TransferWise borderless account (explained below), which cost nothing, and you can do it right from the mobile app. Once you have activated your borderless account you simply need to add some money to this account. Then your debit card transactions will use any balance from your borderless account. The borderless account is another new super awesome feature of TransferWise. You can open for free an account in USD, GBP, EUR or AUD and you get your own personal account numbers and bank codes as if you had a local account. So if you have customers using those currencies you can give them those bank account details and later transfer that money to your desired currency. Isn't that cool? I opened a USD borderless account to be able to receive my affiliate payments from Amazon.com. I can then transfer this funds to my account in EUR. It works like a charm, and I was able to open it in no time directly from the mobile application. The borderless account is also used for payments with TransferWise Mastercard. Lets say you are in India and withdraw 10,000 rupees from an ATM using the TransferWise Mastercard. If you have a borderless account in USD then your debit card will use dollars from this account and convert them into Indian rupees. 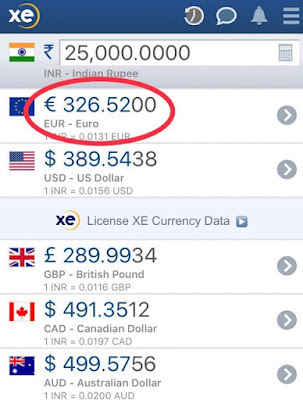 You'll be able to see the exchange rate and conversion few directly in the mobile app. You can use TransferWise to make transfers between different currencies without paying hidden foreign exchange commissions or markups. You can make transfers from USD, EUR, GBP, AUD and many other currencies to Indian Rupees, Sri Lankan Rupees, Nepalese Rupees, Indonesian Rupiah, Thai Baht, Vietnamese dong, and of course every other major currency. I know my fellow nomad yogi buddies would love this since we are always moving between India, Sri Lanka, Indonesia, Thailand and Vietnam. So it is ideal when you are traveling Asia, or rather ideal for anybody who has a nomadic lifestyle living across borders. 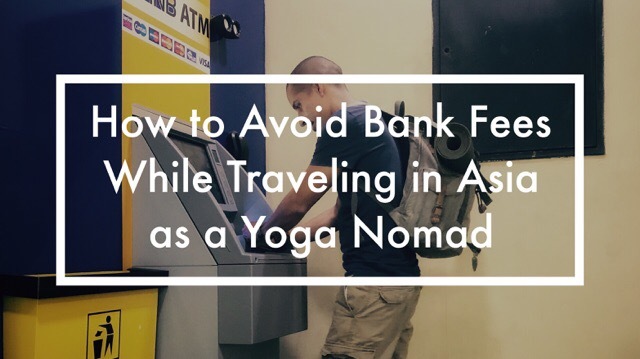 For instance, if you are traveling and practicing yoga in India you can use TransferWise to pay for your accommodation and for your yoga trainings. Much better than going to an ATM multiple times to get all the cash that you might need. If you practice yoga in Mysore you will find this is really convenient since normally you have to pay for your yoga classes and for the rent on a monthly basis. 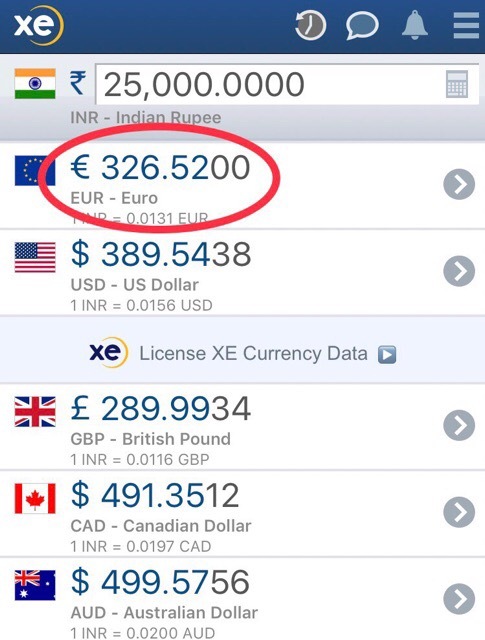 I have not yet been able to use TransferWise to transfer money to an Indian rupees account. Unfortunately this currency was still not available last time I was in India, back in April 2017. Update. I've been back in Mysore since beginning of September 2018. I've been able to use my TransferWise Debit Card, and I've also done several online bank transfers to pay for my accommodation and yoga courses, with no problem at all. But I've used it to pay for my accommodation in Sri Lanka while I was surfing and teaching yoga in Arugam Bay last August. It worked perfectly. If you are a yoga teacher hosting your own yoga trainings or yoga retreats in Asia, or anywhere around the world, you can use TransferWise to receive the payments from your guests who have different currencies. You can also use it to pay the total fees to the resort owner in whatever local currency that might be. I wish Transferwsie had Indian currency when I hosted my first yoga retreat in India. I had to pay the resort owner with my credit card and I ended up paying a really high exchange commission to my bank. I lost about EUR 70 in exchange commission. Had I used TransferWise it would had costed me around EUR 10 I think. It's so convenient and easy, believe me. You can do everything from your web browser visiting TransferWise.com, or directly from your smartphone using the TransferWise iOS app or their Android app. Fill in the receiver bank account details (according to the fields required by the app, which varies from country to country). After confirming the transfer you'll need to pay TransferWise. Well, don't forget that last step. The first time I used TransferWise and hit "Confirm Transfer," I thought that was all I needed to do. I had to contact them to ask why the receiver was not getting the money. It turned out that I had to first pay TransferWise so that they can then send the money to the receiver. This is not very clear in the website, and I thought this would be automatic since my bank details are saved in my profile. But that works only to receive money. They don't take money out of your account. Which makes sense. There are many options to pay TrasnferWise such as bank transfer, debit card or credit card. I wouldn't use credit card though, cause then you'll need to pay an extra fee. If you pay via bank transfer to TransferWise you won't have any extra fees. But I think this option depends on from which currency you are paying. TransferWise will send you an email confirming the estimated date when the receiver will get the transfer. 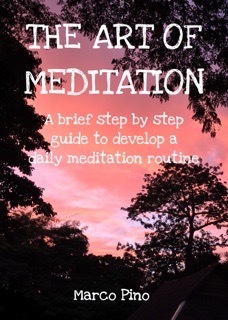 This can vary but in my experience it can take anywhere from one day to five working days. Since I've been using TransferWise all my transfers have arrived exactly on their estimated date. One thing I love about this app is that it is super transparent. The app shows you the exact fee that you'll need to pay for the service, even before you confirm the transfer. And they use the same exchange rate that google uses to convert currencies. It can't be more transparent than that! Good luck with trying to figure out how much your bank, or even PayPal, would charge you. To give you an example. In Mysore the rent for a room is anywhere between 10,000 or 25,000 Indian rupees. Let's say I use TransferWise to send 25,000 rupees to my landlord. Just by typing in the amount I know that I'll need to pay a fee of about 2.29 EUR. Most of the ATMs in India allows you to withdraw maximum 10,000 rupees per withdrawal. That's about EUR 130 or USD 155. So, since my bank charges me 5 EUR per withdrawal, if I had to go to the ATM this would cost me 15 EUR cause I'll probably need to withdraw money three times. And of course, there is also the hidden exchange rate commission. That's a huge difference! Not to mention that it is always a pain to go to the ATM when you don't want to. 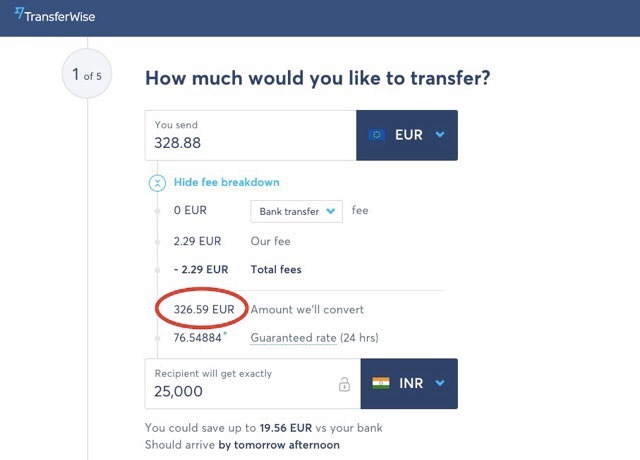 So if you are a yoga nomad, or if you are simply traveling around the world, living and doing business across borders, I think you should definitely check TransferWise. This is an affiliate link by the way, which means that I'll get a small one-time-commission if you sign up for the service and actually make a transfer within a few days. 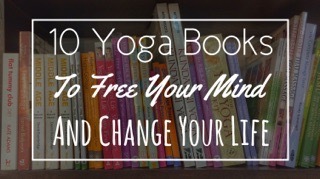 Of course I'm sharing this with you cause I think it's an awesome service and it has worked so well for me, and I know all my yoga buddies will love it. With commission or no I would still be sharing this. So, just give it a try and let me know how it goes. I hope you'll find this tip useful and that you'll be able save lots on bank fees from now on. Don't hesitate to share this information with anybody that you think might find it helpful as well. Hi Marco! Great post! Transferwise saved me a lot of money last time I went to Mysore. However, a friend told me about Revolut (an olnline bank account that comes with a card, which apparently allows you to withdraw money and make payments anywhere in the world for free or for a very small fee). Have a good week! Marco, I tried using your link to transferwise and it didn't work. Neither of them worked.